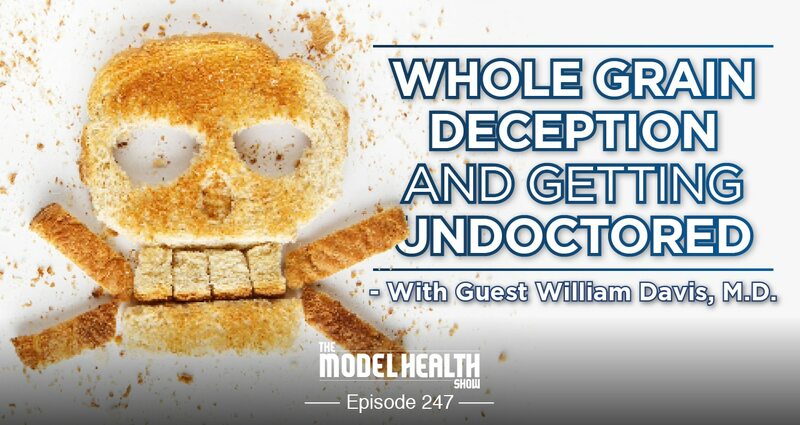 Whole Grain Deception And Getting Undoctored – With William Davis, M.D. 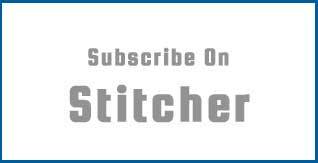 TMHS 247: Whole Grain Deception And Getting Undoctored – With William Davis, M.D. With all of our apparent advancements in medicine (screening, drugs, vaccines, surgeries, etc.) you would think that the rates of chronic diseases would be going down. But they’re not. In fact, since many of today’s standard treatments hit the scenes decades ago, disease rates have been on the rise, without any sign of letting up. Somewhere, somehow, conventional medicine missed the mark. It’s the biggest, baddest billion-dollar system in the United States. Yet, millions of people are struggling each day to receive any true health solutions from it. Today’s our opportunity to look at exactly what’s happening inside of our healthcare system, and, most importantly, what we can actually do about it. There were also countless stories of patients telling their physician about Wheat Belly and wanting to work to get off their medications or avoid surgery by practicing what they were learning, but their doctor would simply brush them off. “That’s not proven.” “It’s too risky.” “It won’t work for you.” These are some of the things they’d hear. The reality, however, is that the science was proven, it was all far less risky than the drugs or surgery they were facing, and it was working for so many people that, today, it’s literally changed the way our society looks at healthcare. The change is happening, but it may not be happening fast enough. 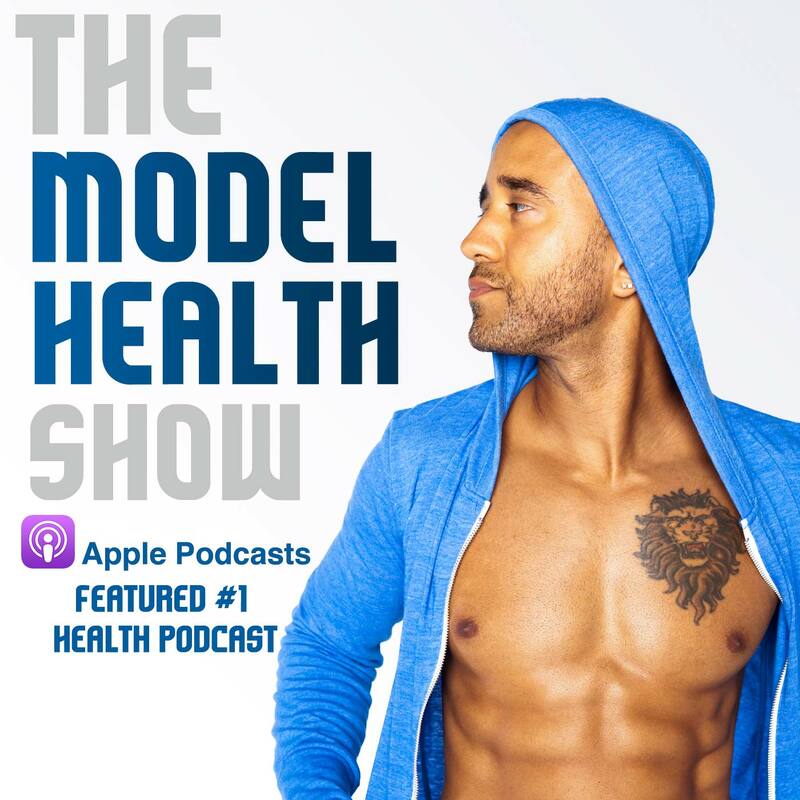 Thankfully, Dr. Davis is back on The Model Health Show today to talk about what it means to be Undoctored, and how to address some of the biggest issues with our healthcare system right now. Several things you are about to learn will probably shock you. But in order to find a solution, we have to know exactly what we’re dealing with. You’re about to receive some huge insights into what it takes to be empowered and successful in your healthcare decisions. Just tune in, take good notes, and enjoy! What the #1 expense on our economy is. Why using scare tactics and separatism to get people to be healthy can backfire. Whether or not removing wheat from your diet can cause nutrient deficiencies. What the real enemy of the healthcare system is. Which organizations fund nutrition programs in colleges and medical schools (this is shocking!). Why humans are physiologically unequipped to eat grasses. How conventional wheat products are making millions of people sick and overweight (you need to know this!). How long humans have actually been consuming grains. What anthropologists can tell us about how grains impacted human development. The alarming way that grains are tied to suicide. Why whole grains are better for you than refined grains in some ways and worse in others. How to more accurately track your blood sugar. How doctors are incentivized to prescribe drugs and do unnecessary procedures. Why our access to health resources has grown exponentially. Why you’ll be paying high rates for health insurance even if you’re healthy. Whether or not the movie What The Health is accurate about sugar-related science. What you can do right now to become Undoctored. This is a very special episode because we're having back on a guest who blew my mind. His work has just changed the game. We're talking about Dr. William Davis, the author of 'Wheat Belly,' New York Times mega hit bestseller. And we'll put the episode he was on previously in the show notes, so make sure to check that one out if you happened to miss it. There's so much foundational pieces there that you definitely don't want to miss, so make sure to check that one out. Now he's on today to talk about his new project, which is kind of- the word controversy, right? Controversy. It starts to muster up some feelings, right? His controversial book 'Undoctored,' which actually really isn't that controversial because he's just laying out the facts about our healthcare system. And it's a model that is broken, and it's been broken for a long time. A lot of us don't realize that this is the number one money spend in our country. It's not weapons, it's not military, it's healthcare. Our dollars are going there more than anywhere else, and it's just growing and growing. It is becoming a bit of a monster, and at the end of the day we want to understand like what is it for? Are we actually seeing results? Are we healthier as a nation? No, actually it's the opposite. So there's something that's off here, and we're going to talk about that today. Many different pieces, many different topics to discuss, but I want you to be empowered. I want you to be aware that there are other options. You know instead of this thing happens, I go to my doctor, I get this drug, I get this surgery, I get these various treatments that actually don't eliminate the cause of the illness, and that's what we want to focus on. You know when we talk about issues like diabetes, or heart disease, those issues themselves are side effects of a deeper issue. If we take an example like eczema, for example. This is something that my little sister struggled with all of her life really, and I remember her having these rashes when she was a little girl, like specifically behind her knees and these kinds of things. And it was just a different expression of the same kind of autoimmune swamp mess that me and my little brother had as well. You know, him and I had asthma was our kind of genetic tendency when we were exposed to the same thing in the household. And so eczema is strangely- it's a little bit of a form of that, and it's an autoimmune based condition, and it's largely triggered by the inclusion of lectins, of gliadin, of compounds that are found in conventional wheat, right? Creating this autoimmune cascade, that again we broke down in that past episode with Dr. Davis. But the bottom line is some of these compounds get into your gut lining and start to literally tear your gut lining apart, letting complete proteins get into your bloodstream, which is very dangerous because your immune system is going to be front and center, hopping on that substance that should not be in your bloodstream, and sending its defenders out to do its job, to take those foreign compounds out. All good. Well not actually so good because your immune system has evolved to be very fast learners. Now anything that even remotely looks like that foreign compound. Maybe it was an amino acid structure of ABAB that snuck its way in through a donut that you ate, alright? And had some of those compounds in there. Oh no, better yet, whole wheat toast. A whole wheat piece of toast, right? So you had some lectins, gliadin, these kinds of things, and stowing away, getting into your bloodstream that protein structure, ABAB. Now the issue is that maybe your thyroid tissue has that same protein structure, ABAB. Maybe it's your skin, ABAB. Right? And so your immune system is literally going to go and start attacking your own tissues, and it's doing this to protect you in a strange way. Right? Crazy stuff. It's like autoimmune disease. Autoimmune disease. What does that mean? My body's attacking itself. Why would it do that? Your body is actually trying to protect you. It's trying to do its job, but this is really confusing because many of these things we simply were not exposed to throughout our evolution. We didn't have Krispy Kremes, alright? You don't think about a caveman like sitting over his fire roasting kettle corn, right? You don't think about him sitting over his fire and he's like passing around a bowl of Doritos and Cheetos mixed with Funions. Have you ever had that mix? Right? It's a whole other level of snacking when you mix up the chips. Anyways, so we take these issues and we see commonly the side effect like, 'I have this issue, now here's this drug.' And I literally knew a guy that I worked with many years ago. He was on an antibiotic for psoriasis for over twenty years. That doesn't even make any sense. That should be illegal to do that, and his gastrointestinal tract obviously was just demolished. And we got him onto a protocol, and he was able to eventually get off of his medication for the first time in over twenty years, and not have the issue come up. Because for him, as soon as he would stop taking the medication, the psoriasis would start to creep up, and he hated it. He hated it. It was such a nuisance in his life, and so it was a whole new reality because we were addressing the underlying cause of the psoriasis. So this movie has become a bit of a phenomenon, and just to share this with you guys, you know I watched movies that are similar and showing even the behind the scenes, and factory farming conditions, and these kinds of things literally over ten years ago. This was when it was underground, alright? We didn't have Netflix so it was like you literally passed the tape around. You know, your friend gives you- 'Have you seen this DVD?' You know it was like definitely more like the mixed tape version of the big budget film that we see today. You know, much higher budget. And the production is incredible, and the mission is- it's altruistic and it's honorable to help people to be healthy. But the fear tactics, and just some blatantly bad science that's included in the movie, I don't think that helps anybody to move our agenda towards health. We need to get a conversation going amongst all of us who are on a mission to be healthy, and who are on a mission to have a healthier planet. Be it you're paleo, or vegan, or vegetarian, Mediterranean diet, you know you're just straight hunter / gatherer, whatever you're doing for us to get together and have a conversation because at the end of the day this is about us being healthy, and happy, and sovereign as a people, and getting out of this broken healthcare system. And there are things to be learned on all parts, all sides of this story, and so some of the information in there when we talk about diabetes not being caused by sugar. That's one of the physicians in the movie said that statement, and I just couldn't believe that this was allowed to be said and then put out to popular media, because then you see individuals who are influencers, you know maybe they're in the fitness space and they've got a million Instagram followers and they said, 'You know, I watched this movie and now I'm vegan' and not really getting the full story. Because again, at the end of the day, it's about us having fair balanced factual information so that we can be empowered. Not utilizing fear or extreme tactics, and not even looking at the facts. You know, because you can do this yourself. You can literally get yourself a blood glucose reader, and then eat different foods, and you can see what it does to your blood sugar. And to say that sugar isn't a huge causative factor in that is just blatantly wrong. But there are a lot of great points there in the film, so this is not a bash against the film, but we need to understand that this is still an individual propaganda. Right? This is still an individual's perspective, and we need to get the whole story, and that's what this is about. That's what we do here on The Model Health Show. We're not withholding information, we're not saying, 'This person is right, this person is wrong' on any extremes, because there's a lot of stuff in the middle there for us to talk about. So we're going to talk about that today, we're going to ask Dr. William Davis what he has to say about it, and also of course talk about his new book 'Undoctored,' and all of the phenomenal information that's in there. And really quick guys, one of the big issues that people have with getting into a healthier lifestyle is dealing with the cost of that associated lifestyle. You know eating higher quality food, investing in organic foods, it tends to cost more, and it's unfortunate but we're also looking at an opportunity where we see economies of scale, you know? As more of these things are demanded, as more are being produced the right way, prices go down and we're seeing this for many products, right? We're seeing a big change happening, however for a lot of people jumping into the game, it's still slow to happen and also it's a big barrier of entry if we have to struggle to be able to afford things that are really great for us. www.ThriveMarket.com/modelhealth so that you can get hooked up with the world leading market for premium healthy and organic products, and these are things that I would buy from conventional grocery stores, and from natural food stores like Whole Foods, and things like that. But many times at 25% to 50% off of what you'd be paying at those stores. They've got organic, the very best names. By the way, they curate the foods that they have there. They do the investigation for you to get the very best companies. Organic, non-GMO products, they've got categories like vegan, gluten-free, paleo, sustainably farmed, et cetera. Whatever you're looking for, they have it. But again, 25% to 50% off, and I absolutely love them so much. They save us so much money, and I used to just be so mad at myself when I would have to go and buy a product in the store because I didn't order it on Thrive Market, and I'm spending like an extra $5, $10, sometimes $20 more for the same product. So you're going to get not just the 25% to 50% off, but when you go to www.ThriveMarket.com/modelhealth you're also getting 25% off your first purchase. So in addition to the money you're already saving, plus you're going to get a free thirty day trial at Thrive Market. Alright so we're talking about a major hookup here, so go to www.ThriveMarket.com/modelhealth. And again, keep in mind 25% to 50% off the retail prices already, plus you get an extra 25% off your first purchase, and a thirty day free trial. And you're going to want to keep this, you're going to want to keep the membership because it's just going to keep paying you over and over again in money that you're saving, keeping in your own pocket. And plus they do a lot of good for the rest of us as well, for the planet, and for people who are in need because every paid membership, they give away a free membership to either a teacher, a veteran, somebody who is at a lower income status who really could use this extra assistance, they're giving away a membership. So really good people, make sure to check them out. And also, myself today, what I did prior to coming in to record the show today, I had my favorite drink, my lion's mane tea, and this is from Four Sigmatic. And the University of Malaya confirmed that lion's mane specifically, lion's mane mushroom has neuroregenerative and neuroprotective benefits. And it features a class of nerve growth factors which are molecules that stimulate the differentiation and remyelination of neurons. So we're talking about laying down more myelin and protecting the myelin sheath and the myelin coating over your nerve cells. So literally this is preventing Alzheimer's, preventing dementia. It has that kind of power. You don't hear of many things like that when we're talking about even the very best foods. That's why I love lion's mane. www.FourSigmatic.com/model for 15% off all of their mushroom elixirs, mushroom coffees, mushroom hot chocolates. And again, I'm a big fan of the lion's mane, so check that one out. ITunes Review: Another five star review titled, 'Great Show' by LetsBeForever. 'Hi Shawn. I just wanted to say how great it is to listen to your wealth of wisdom. I love the show and the content. I have lost 31 pounds since listening to your show. I have changed the way my family eats due to your guidance. Shawn Stevenson: Oh what's up, ATL in the house. Thank you so much for leaving that review. That means so, so much to me, and just thank you for making me a part of your world. That means a lot. And everybody, thank you for heading over to iTunes and leaving the reviews for the show. Please keep them coming. If you've yet to do so, make sure to pop over and do that right quick. I truly, truly do appreciate it. Along with his series of associated cookbooks and blog, he's actively engaged in cultivating discussions about heart health which have yielded solutions to a plethora of other diseases as well. And he lives in Milwaukee, Wisconsin but he went to medical school here in St. Louis where I reside, which is a little cool intersection, and I'd like to welcome back to The Model Health Show, Dr. William Davis. How are you doing today? Dr. William Davis: Hey Shawn, I'm doing terrific. Shawn Stevenson: So great to talk to you again. I didn't tell you this, but your last appearance on the show and talking about wheat belly was one of our most popular episodes. I think it had a couple thousand shares, and then you know, a couple hundred thousand listeners as well, so it was pretty big. Dr. William Davis: Oh that's nice to hear. Wow. And I would love, love, love- because this is controversial stuff, Bill. This is controversy. What inspired you to write this book? Dr. William Davis: You know, Shawn, it was part of the wheat belly experience that evolved over the six or seven years or so since the first book came out. The first book talked about what agribusiness did to wheat, it turned it into this high yield semi-dwarf plant. It's very, very different. It had peculiar effects like causing appetite to be stimulated, it became clear we had to take more steps. So people did lose weight and had magnificent health transformation just by getting rid of wheat, but several things became clear. You got even bigger results by eliminating all grains, because there are shared characteristics among all grains, even oats, rice, and millet. It also became clear that there were persistent deficiencies- nutritional deficiencies that persisted even after removing grain. Grains actually cause nutrition deficiency, Shawn. We're told we need them for B vitamins and fiber. That's a complete fiction. In fact, grain consumption causes numerous nutritional deficiencies. Now most of those just correct themselves when you eliminate grains, but some don't correct. 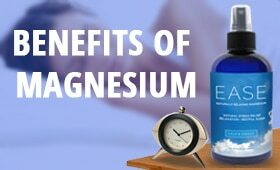 For instance, magnesium deficiency is so profound in grain consuming people, and it's taken out of our water by filtration, but you have to purposefully supplement magnesium. And there's some additional simple steps to address very common deficiencies that don't have anything to do with grains like vitamin D, say. And iodine. And we also cultivate bowel flora, because that's a modern phenomenon. We've all screwed up our bowel flora, and that has huge impact on health. People still did it without the doctor, and they'd come back six months later and report to the doctor, 'I'm 47 pounds lighter, I stopped all my medications because my blood pressure was so low I didn't need blood pressure medicines. On, and on, and on, and the doctor didn't understand why. What I saw, Shawn, is that people were enjoying magnificent, magnificent health far superior to what could be achieved by the doctor, the healthcare system, without the doctor. In spite of the doctor, in spite of the astounding ignorance of my colleagues when it comes to questions of health. Shawn Stevenson: Wow, this is already blowing my mind because you've got so many of the stories here in the book, and when we first talked I was looking at- it was insane how many before and after pictures people were sending into you. I even asked you about it. I was like, 'How are you getting all these people to do this?' And you were just like, 'Hey they're just inspired, you know?' And seeing all of these transformations take place. But then having them go and talk to their primary care physician or whoever the case might be, and they're telling them about these changes and things that they've heard about, and they want to make these changes, and they're telling them that's crazy. And basically what I'm hearing already in your reasoning for writing 'Undoctored' is to give people permission to actually take care of themselves. And with that said, I'd love to kind of dive in and dissect a little bit deeper what some of the big issues are. You just mentioned that the physicians are typically like, 'That's stupid. Why would you even do that?' What is the divide in understanding basic things about nutrition, and overall wellness, just lifestyle practices in our training as physicians? Dr. William Davis: As you know, Shawn, it's been widely known that if you want ignorance on nutrition, talk to a doctor because they're not educated and sadly rarely are they ever truly interested. Because you know, we have this system now that has become so focused on revenues, building revenues. You know, you can't build a new $40 million cardiovascular wing, or a cancer center based on nutrition, right? Dr. William Davis: Nutrition doesn't pay, health doesn't pay. In fact I say the enemy of the healthcare system is not sickness. The enemy of the healthcare system is well people, healthy people. Because if you're healthy you are absolutely useless to the healthcare system. Dr. William Davis: Because they're all about dispensing drugs, and procedures, and applying medical devices, and hospitalization. You know, we're talking about a lot of money, Shawn. Right? We're talking about tens, hundreds of thousands of dollars per person, and those costs are increasing at an even more rapid pace because now the drug industry and the direct to consumer drug ads, and the what's called value pricing of specialty drugs is putting a lot of these drugs in the $3,000 to $10,000 to $20,000 a month range. So there's a very vigorous attempt to build revenues for the healthcare system, so the doctor is no longer the advocate of health. He is the advocate of the healthcare system. That's a very, very different thing. Shawn Stevenson: You know, and so everybody, we're talking with somebody who went to a traditional university for their medical degree, and can you share how much training on nutrition you got in college? Dr. William Davis: Next to nothing. Some of it came through biochemistry, but the actual discussions about nutrition were very meager and amounted to a few hours. Now the problem is of course, even if there was more, and that trend is slowly developing, the problem is education- and we see this in the dieticians. Education is largely paid for by Coca Cola, Pepsi, Kellogg’s, General Mills, and Nabisco; big food. And if you go to any of the meetings for nutrition like the Academy of Nutrition and Dietetics, or even the American Heart Association, any of these agencies, you'll see the overwhelming presence of commercial interests, of industry. Big food as well as big pharma and the medical device industry. So we have this system where many of the agencies have been corrupted by their desires for greater donations. And we're not talking about a few thousand, we're talking about millions and tens of millions, sometimes hundreds of millions of dollars that line the wallets of these agencies. And so I think it's cynical- Shawn I think we simply can't trust them anymore. We can't trust those agencies to give us objective, unbiased advice that empowers us in health. That's why what you're doing, this conversation we have and similar conversations are so critical because here's another phenomenon. Direct consumer drug ads so dominate now network and cable TV that if you watch TV, watch the news, you'll see almost no reporting of problems with healthcare. Healthcare is a huge problem, yet there's almost no reporting. There's conversations about healthcare politics, but not actual problems in healthcare, so that's why what you're doing is so critical so that people hear what's really going on because you and I don't have a $2 billion marketing budget to drown out big pharma and healthcare, so we've got to do it this way. Shawn Stevenson: Absolutely. And I can just piggyback on that because when I was in college, and taking a premed track, it was totally- it was an elective to take nutrition. And eventually I found out that the nutrition program was funded by General Mills. So I'm just- and this is just basic thinking, do you think they're going to recommend to not eat cereal? You know it's just common sense, you know? And so they're of course telling us to recommend seven to eleven servings of grains for everybody to be healthy, and even just looking at my professor, he was radically unhealthy and it's not that he wasn't doing what he believed in, or that he was teaching, the problem was that he was doing what he was teaching, and he was getting these results, and he's so dogmatic about it he wasn't doing anything to change it. And I want of course people to go back, and we'll put your first interview in the show notes, but can we talk a little bit about why that whole paradigm of recommending seven to eleven servings of grains- whole grains each day can be a big potential pitfall for folks? Dr. William Davis: Yeah lots and lots of issues. Grains have always been- grains are seeds of grass, you may know, Shawn. That's what grains are, and humans are simply ill equipped to consume grasses, and that's why when you cut your lawn in the summertime you don't save the clippings to toss on top of a salad. Dr. William Davis: If you did, you'd get quite sick, you'd have diarrhea, and abdominal pain, and the grass would come out in the toilet intact, completely undigested. Well that's true of the blades and the leaves, it's also true of any other component of the seeds. So you have to put the seeds of grasses through some extreme manipulations in order to make it ingestible but never digestible. And that important principle underlies the explanation for why grains are so harmful to people, because the proteins are either indigestible or only partly digestible. So for instance, the gliadin protein, people call it gluten but it's actually gliadin that's within gluten that has a lot of these ill effects, can only be broken down to pieces, peptides. If I eat an egg or a piece of steak, I break those proteins down into single amino acids. That's how proteins are meant to be digested. But the gliadin protein of wheat is broken down into small pieces, four or five amino acids longs, and these have unique properties. Some of them are inflammatory properties, some trigger inflammation like autoimmune diseases, some trigger the brain to drive appetite and behavioral changes. So it's a reflection of how weird it is for humans to try to consume seeds of grasses. Oddly when agribusiness got into the act in the 1960's and 1970's, they amplified many of these facts. They didn't do it because they're evil- I think they are evil but that's beside the point. They did it for their own purposes like resistance to pests. So there's another compound in wheat and grains called wheat germ agglutinin. Sounds like gluten but it's unrelated, and this is completely impervious to human digestion. Goes in intact in the mouth, it comes out in the toilet intact, but its course from mouth to toilet is highly toxic for the gastrointestinal tract. A little bit gets absorbed in the bloodstream, and that's why some people have antibodies to wheat germ agglutinin, and when it gets to the bloodstream it's extremely inflammatory and also causes blood clotting. That's why it's called agglutinin, because it means it agglutinates or clots red blood cells. Those are just two components of grains that are very harmful to people. So grains have always been problematic for humans, but agribusiness got into the act and made it worse. Shawn Stevenson: So even hearing about the kind of manipulation of the plant, not necessarily to hurt people, but the side effects that happen. But for a lot of people that are hearing this it's just like, 'Well people have been eating bread for thousands of years.' What is the argument there? Like how can you even defend the fact that we're not designed to eat this, yet we've been eating this for so long? Dr. William Davis: So humans have walked the earth for 2.5 million years. We added grains 10,000 or 12,000 years ago. In other words, we added grains very recently. Less than one half of 1% of our time on earth have we consumed grains. So here's an interesting- you know who knows a lot about nutrition and grains? Anthropologists. These people have known for thirty or forty years, and they tell us that when the first humans began to consume grains, that is grains such as einkorn wheat, that's the ancestral form of wheat that grows wild in the Middle East even today, when humans first turned to seeds of grasses from einkorn wheat, there was an explosion in tooth decay. So interestingly, Shawn, prior to grain consumption, tooth decay was almost unknown in humans. 1% to 3% of all teeth recovered prior to grain consumption showed decay or abscess formation, or misalignment. So- and think of it. These people did not have toothpaste, toothbrushes, fluoridated toothpaste, dental floss, dentists, orthodontists, yet they had nearly perfect teeth. Even in their fifties and sixties and seventies, and as you likely know, people in those ages did survive that age. There was a lot of child and infant death, but once you lived past the age twenty or thirty, you were likely to reach old age. And even older people had full mouths of teeth. When we added grains to the diet, tooth decay jumped from 1% to 3% of all teeth to 16% to 49% of all teeth showing decay, misalignment, tooth abscess, et cetera. There was also a doubling of knee arthritis. So grain consumption causes bone diseases. There was also evidence for iron deficiency. The anthropologists call it porotic hyperostosis. It's a reflection of the bone marrow growing out of control to produce blood to compensate for the lack of iron, because when you eat the phytates, yet another component that's indigestible of grains, it blocks 90% of iron absorption. That's why iron deficiency is very common in grain consuming people. Shawn Stevenson: So why then does grain, specifically wheats, tend to target joints and bones? Because really even with our teeth, these are just in a weird way bones that you can see. So what's going on there? Dr. William Davis: With teeth it's likely the amylopectins. So the amylopectins are the exception to the rule that most of the problems from grains comes from the proteins. Because amylopectin A is the complex carbohydrate. As you know, dieticians and nutritionists told us that complex carbohydrates are better than simple sugars. Well that's not true. The amylopectin A complex carbohydrate raises blood sugar higher than table sugar, and that's because the amylopectin A is uniquely- so unlike the proteins of grains, the amylopectin A is highly digestible because it's broken down by the enzyme amylase that's in your saliva and stomach, and it raises blood sugar almost immediately to very high levels. So those sugars in the mouth cause a change in the microbial species, the bacterial species in your mouth, and it favors the species that cause cavities that decay. So there's more to it than that, because nobody knows why grain consuming people also developed tooth misalignment. Dr. William Davis: And shrinkage of the facial bones. So that's not quite clear whether that is a change oral flora or some other component. That's not been worked out, but at the very least we know the amylopectin A that yields sugar in the mouth causes tooth rot, and we've seen this over and over. You know primitive tribes around the world who didn't eat grains, who just hunted, and fished, and gathered roots, and ate berries, et cetera, and thereby had some sugars from fruits, still don't have much tooth decay. But when they bartered or traded with modern people for grains, they too developed explosive tooth decay, so much so that the number one cause for suicide in primitive cultures is now tooth abscess. Dr. William Davis: In cultures that had almost no tooth decay, when they eat our food, they develop explosive tooth decay so much that they kill themselves because abscesses are very, very painful, they often erode and make holes in the face and surface. Very, very painful stuff. This is all from grains and to a degree also sugars. Shawn Stevenson: Wow, well that's the feel bad story of the day right there. So you know, just kind of shifting gears a little bit- well actually let me make one more point for everybody. If you think about that timeline of how long grains have been in our diet, this is really the birthing of agriculture, and the evolution that has taken place since then. And we see smaller structure, we see indigenous cultures who don't include these grains, they're more robust and just healthy, and more muscular. They tend to be- again, a bigger frame. And so this has had a big impact on- and this is stuff we're still figuring out, and Dr. Davis is kind of at the leading front of this. In influencing what's happening with our kind of epigenetic triggers, and seeing us basically printing out worse copies of ourselves in a way. And that can happen still on a small scale just in your individual life right now, not to mention what can happen with our generations to come if we continue down this path. So with that said, why then would an organization- let's talk about- and I went to the grocery store the other day specifically looking for this because I was like, 'I know- I know I didn't just see this in my mind so many times.' So I would see that heart healthy checkmark box on boxes of cereal, you know? Like on Honey Nut Cheerios, for example. And I went to the store and they're no longer on a lot of them, right? But why were they there? How is that even possible knowing what we know already, just the small little nugget that you shared about some of the dangerous impact of eating conventional grains. Why would they be putting that on boxes of cereal? 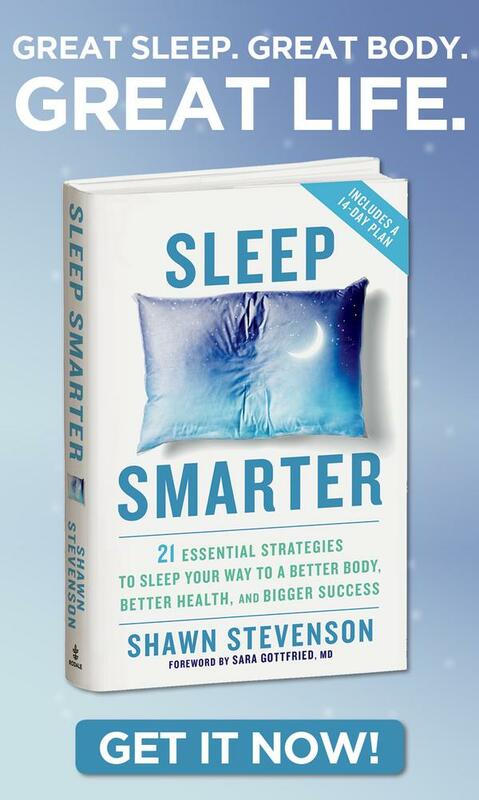 Dr. William Davis: They fell for the bad science that showed if you replace something bad, white flour products, with something less bad, whole grains, and there's an apparent health benefit- and there is, Shawn. There is less type two diabetes, there's less weight gain, there's less heart disease, and less colon cancer. That's true, and so the conclusion drawn by the American Heart Association and other agencies is that a whole bunch less bad thing must therefore be good. So I liken that to saying what if I replace something bad like unfiltered cigarettes with something less bad, filtered low tar cigarettes, and let's say there's an apparent slight benefit, reduction of lung cancer and heart disease, should we conclude by that logic that smoking a lot of filtered low tar cigarettes therefore good for health? It sounds silly when you make that analogy, but that's exactly what they did. What they didn't do is ask, 'What happens when we eliminate grains?' And those studies have been done, Shawn. There's plenty of studies that show that when you eliminate grains, you have extravagant health benefits such as allowing many type two diabetics to become non-diabetic. To drop their hemoglobin A1c, to cause weight loss, to cause remission of rheumatoid arthritis, and on, and on, and on. So that bad epidemiological observational data that came from studies like the Nurse's Health Study and the Physician's Health Study, that's all they did. They just showed that grains- whole grains are less harmful than white flour, and yet that has served as the basis for all conventional dietary advice. Shawn Stevenson: Yeah, and I know firsthand that was my thing. I went from pasta house Olive Garden pasta to my whole wheat terrible pasta. You know, it was whole wheat everything. Just I went totally down that path, and I saw improvements in my health, but I was still dealing with allergies, asthma symptoms, pain; these small things that you know, we kind of accept as normal, but they're not. You know, these are signs from your body that something is not right here. But we also believe because we're really inundated with this belief that if I have this thing, for whatever reason, that it's permanent. Like I have diabetes. I have asthma. It's who I am, it's this identity that we carry that if I get this kind of bill of goods, this 'diagnosis,' that it's just the end of the road for me. You know, I have this illness. And getting properly educated, and you've seen this countless times in your practice now, and seeing people be able to get off Metformin, and have their insulin lowered, and reverse diabetes. You know, but we still see a situation where the ADA, you know the American Diabetes Association really sponsoring and dealing with lobbying. Let's talk about that, I see you nodding your head. Let's talk about how lobbyists and money gets involved in this whole situation. Dr. William Davis: At so many levels, Shawn. So as you know, agencies like the American Diabetes Association boast about the very generous support they get from diabetes drug manufacturers. So obviously the message they spread is friendly to diabetes drug manufacturers. And as you know, type two diabetes is an epidemic, it's growing at double digit rates, and is yielding extraordinary profits. Dr. William Davis: And so diabetes- type two diabetes is a big business, and that's why when you turn the TV on and watch the news, every other commercial is a drug, and many of them are these new diabetes drugs. Being diagnosed with type two diabetes adds $10,000 a year to your medical bills just for diabetes. So it's highly profitable. Now here's a little trick. You know the glucose meter that doctors tell you to use if you have type two diabetes to check your blood sugar? Dr. William Davis: They tell you things like check the blood sugar prior to a meal, and then two hours later to make sure that your insulin or oral drugs or injected drugs are dropping your blood sugar back to baseline. What the doctor didn't tell you is you tweak those rules just a little bit, Shawn. Check the blood sugar prior to the meal, and then not two hours later, but thirty to sixty minutes after you start eating, and that captures the peak blood sugar, and if you see any rise, change your diet. Eliminate the food that caused that rise, it'll be a carbohydrate of course, cut the portion size or eliminate it, and don't allow any rise in blood sugar. Do that, and type two diabetics become non-diabetic extremely rapidly, so much so they have to slash their medicines dramatically even on the first day. We often- when we do this we have to tell people to cut their insulin for instance by 50% just in the first 24 hours because we don't want anybody to have hypoglycemia which happens on drugs when you become less diabetic. But why didn't the doctor tell you that? Why didn't the doctor say, 'Hey John, let me tell you how to use your glucose meter to become non-diabetic.' And accelerate weight loss too by the way, Shawn. It's a magnificently effective way to lose weight. So we have this system hell bent on giving you drugs, loading you up with these very costly agents, and lining you up for imaging procedures, and therapeutic surgeries, and those kinds of things. But no one bothered to tell you how to get healthy in the first place. Shawn Stevenson: That's really the big break-in information and why I'm so excited about this. This book is loaded- I mean guys, you've got to make sure to check out 'Undoctored,' because the statistics in here are going to blow your mind, and of course his writing style is just awesome. A lot of great insights in this book, and one of them is the Academy of Nutrition and Dietetics, right? So this is where when you see a dietician, right? Somebody- and I remember many years ago my mother was in the cardiac area of the hospital, this was maybe like twelve years ago, and I see the person coming in giving her her food, and she was ridiculously overweight, and they were even more overweight than she was, and telling her what she needs to eat, right? And again, it's not that people when we're dealing- and I've been overweight myself, when we're dealing with that that we can't be helpful, that we can't be altruistic and help people, but the symptoms don't lie. Like it's a side effect of something, and if we're trying and it's not working, we need to really be honest about the situation. And so she's in this cardiac area of the hospital, and she's supposed to get this nutrition training, and of course they're telling her to eat whole grains, they're giving her this pasteurized apple juice, and it was just really shocking to me to see the situation. And ultimately, you know we got her out of there and nursed her back to health, but you know at the end of the day it's still up to the person. Whether it's my mom, or your mom, or your significant other, or specifically yourself. And what you're talking about here in the book when you talk about the American Nutrition and Dietetics, here's something you state in the book. 'Any and all foods fit into the AND (and they're acronym is AND) notion of healthy eating. And these include foods from the sponsors.' So here's who sponsors the Academy of Nutrition and Dietetics. Coca Cola, Pepsi, Unilever, Believe it's Not Butter, Corn Refiners Association. Come on, guys. High fructose corn syrup sponsors their advice, you know and then again we get to this conversation of everything in moderation. What do you say when people tell you that? Like everything in moderation. Dr. William Davis: I tell them that moderation kills, because moderate consumption of things that don't have any role, should not have any role in the human diet, can trigger things like rheumatoid arthritis, and cerebellar degeneration, and dementia, and cancer, and heart disease, and all kinds of other conditions. And so moderate- that can be true when it comes to certain kinds of foods, but just as moderation in arsenic is not a good idea, moderation with grains and some other adverse components of that is not a good idea. Shawn Stevenson: Yeah and you know, it's right here in black and white, guys; the recommendations that we're getting when we go to a traditional university. Things are changing, though. It's slow, this process is slow, but things are changing, but you're getting this type of advice that's funded- literally there's money being put into the pockets of these organizations to promote this type of eating. And whether it's a good person, or not, it doesn't matter how good of a person you are, if you get taught the wrong thing, you're going to be great at teaching the wrong thing. And this is why this book is so important, because he's talking about stepping out of that system because it's a failing system. It's failed long ago, and becoming 'undoctored.' And this doesn't mean that you don't have a primary care physician, or that you work with great people out there, but what is the real role? And I want to kind of clarify this and help to change people's paradigm. What should be the real role of our physician? Dr. William Davis: The doctor should be, like we used to think in the old days, a healer. Someone who takes a look at you, and tries to identify the things that would allow disease, like vitamin D deficiency, and unhealthy habits, and try to help you not have health conditions. It's actually very, very easy, Shawn, to not have type two diabetes. It's very easy to not have most autoimmune diseases. It's very easy to be slender. These things are so easy, but the doctor is so trapped in the wrong health advice, the wrong dietary advice, and this model where they want to drive more revenue. You know in Milwaukee, you know a lot of doctors are my friends still. They know the nasty things I say about them, but they still remain friends. So you go into the ER, or the doctor's office, or the hospital with let's say shoulder pain from gardening, next thing you know you've got a heart catheterization, a stress nuclear study, electrophysiological study, an MRI, a neurology consult, you walk out with $130,000 hospital bill. That sounds ridiculous, but I've seen it happen countless times. It drives revenues and now doctor has- he's been incentivized to drive revenues. Shawn Stevenson: This is like just so overwhelming actually, you know? When you look at some of the statistics in the book, and just to look at the numbers, just the sheer amount of people who are going through this stuff. Even the markup on drugs that you mentioned before, like there are some drugs that are like thousands and thousands of dollars for a pill, and the resource to make that pill isn't that much, and there's not a lack. So we've got that, we've also got when we talk about stints. Can you talk a little bit about that and why there's a vested interest for physicians to do more surgeries even if they're not warranted? Dr. William Davis: You know I put in thousands and thousands of stints in my days as an interventional cardiologist. I can tell you, Shawn, it pays very well. And the more you did, the better the hospital treated you, the better the stint manufacturers’ sales reps treated you, the more they courted you and took you out to dinner, and paid vacations. I mean it's a very nice kind of living, except it's not necessary in the vast majority of instances. If you have a doctor that's paid several thousand dollars every time they do something, they want to do more of it. And you know, if you have an ophthalmologist who gets $2,000 every time he makes an injection of ineffective growth factors into people's eyes for macular degeneration. He's not going to stop and start counseling people on how to have good eye health by taking say carotenoid supplements. He's just going to inject them in the eye, kaching, charges $2,000 for that interaction that took him three minutes, go to the next patient. And that is the cocaine that a lot of my colleagues have. That's why gastroenterologists for instance no longer counsel people on how to have great gastrointestinal health. All they want to do is scope people; endoscopy, colonoscopy, because that's how they- so I know a gastroenterologist who'll line up twelve, fourteen, eighteen people a day because they ka-ching just charge it up, and they can't stop, Shawn, because it pays so well. So if the doctors aren't dispensing health, the nurses aren't of course, the hospitals are not, the drug industry certainly is not, the medical devices industry is not, it falls to you, and me, and your listeners, your viewers to do this on our own. But the wonderful thing in all this negativity I've been talking about is the message that people can achieve spectacular health far better. The health you get from the doctor involves statin drugs, right? Blood pressure drugs, and diabetes drugs, anti-depressants, and acid blocking drugs. The health you and I get comes from taking away the things that cause disease, correcting common nutritional deficiency that allowed disease to emerge. And now you have people who look younger, feel better, are functioning at higher levels. Women get back in their size four dresses, guys have 31" waists, I mean we get back to the way life was supposed to be without a big long list of medications. But the doctor will not get it. And I told him, he was like, 'Well whatever you're doing, keep doing it.' It's like what I told him didn't even make the record, you know? And so that's when I fired my doctor, and at the same time- this is something I want to encourage everybody to understand, is that your physician should have the same goal as you. So if your goal is to be drug-free, if your goal is to be off medication for diabetes, I'm not saying it's 100% possible, but if the person working with you does not have the same objective as you, you need to find another person to work with, and it's really as simple as that. And plus, what Dr. Davis is sharing here, and I want to talk about this, why it's easier than ever for us to really be true sovereign owners of our own health and wellbeing. Let's talk about the drastic change just in access to information, say from today versus like 1960. Dr. William Davis: Oh Shawn, you're absolutely right. Our access to information has improved so much. Imagine life without smartphone, computer, Internet, social media. I mean we had to it the old-fashioned way; rely on the newspaper, the evening news, word of mouth, and this kind of interaction we're having now was unheard of even just a few years ago. So we are putting collective knowledge experience, because you bring insights, experience, knowledge that I don't have. I bring insights, knowledge that you don't have and other people don't have. But we put dozens, hundreds, thousands of people together all focused on solving a question, answering a question, solving a problem. You start- you may not get the right answer right away, but you incrementally approach better and better and better answers. www.PatientsLikeMe.com, or when I'm trying to do my doctorate websites; we're trying to get that collective wisdom and solve problems. And you know what, Shawn? It's working. Shawn Stevenson: It absolutely is. Dr. William Davis: Every day- yeah every day, I learn something new every day from the experiences of people. And if you see something work, let's try it again. Let's talk about other people. Other people give it a try, and they share their experience. So it is an unprecedented opportunity to take control over information and your health. And I'm so optimistic that we can- and one of my long-term projects, Shawn, is to somehow craft a method for you, me, your viewers to opt out of conventional healthcare, and conventional healthcare insurance. You will never get that call. So in other words you are expected to subsidize the poor health of other people, and to pay for, for instance, the $84,000 for that one vial of 120 tablets for Harvoni for Hepatitis C. Even though you don't take it, you have to subsidize those kinds of costs of other people. I say what about us who are empowered and make the effort to educate ourselves and take back control of our health? I don't think we need to subsidize other people who remain ignorant or don't know about these kinds of things. I think we should take control and wouldn't it be great if I could say to you, 'Your healthcare insurance is going to be $200 or $300 or whatever because you're healthy.' We may track you and make sure you stay healthy, but I'd like to see that happen. It's a long-term goal of mine. Shawn Stevenson: My mind is blown. I never thought about that. I never even considered that because you know, I have kids as well, you know? And all the stuff that they've got to go through with school and things like that, and physicals, and all of this stuff. You know even little check-ups, dental, this kind of stuff, we pay a lot of money but we don't really use the system, you know? And I never thought about that before. Profound. Community. You mentioned basically there's this compilation of so much information from all these different perspectives and experiences. Let's talk a little bit about that, and what we have access to today with community and collaboration. Because there's like forums, for example. Everything under the sun you could name. Dr. William Davis: Exactly. Forums for discussion, specific topics of interest. So if you have say lupus, you can join a lupus forum and you know what's happening, Shawn? Is you'll see hundreds to thousands of people sharing their experience and they're starting to teach their doctors about what works and what doesn't. Now forums are just kind of on the fly conversations. We're still in the infancy for these kinds of things, but there are also websites, services that are collecting experiences like www.PatientsLikeMe.com which was a website started by two brothers who had a third brother who was dying of Lou Gehrig's Disease, and he since has passed. But they saw how helpless and hopeless it seemed to be, so they created this website called www.PatientsLikeMe.com for neurodegenerative diseases like Lou Gehrig's Disease, and Parkinson's, et cetera, and people start tracking their experience and they're starting to derive unique lessons because people- when you have thousands of people all asking similar questions or sharing their experience, you learn all kinds of unexpected things. And some are even publishing their data, and so we have a data collection project also because we want to prove that if you engage in just a handful of simple strategies including such things as elimination of all grains and vitamin D, for instance, and a handful of others, that you achieve magnificent health. If they won't do it, we'll try to devise some means, maybe a health co-op, an insurance co-op or some kind of mechanism like that so we can opt out of conventional healthcare and healthcare insurance. It would be also instructive for you to know- you and me to know that if you do need a doctor, let's see you want a 25 hydroxyvitamin D level because you want to track your vitamin D status, it would help to have your insurance pay for it, therefore it has to be ordered by a doctor in most states. Not 'Let's check your cholesterol and see if you need a statin drug. Let's do a colonoscopy to see if you need colon surgery.' What if the doctor actually went- well I'd like to also craft a means for people to identify doctors, naturopaths, integrative health practitioners, functional medicine doctors, chiropractors, et cetera, who actually engage dispensing health. Shawn Stevenson: Yes, and there are some resources now that are starting to pop up, some databases, and I'll put a few links in the show notes for you guys to find a practitioner in your area if you're looking for one. cosmetic issue but a sign of something deeper effectively. And in the book you have a little section where you're talking about breaking weight loss plateaus. So what are some tangible things that we can do to kind of break through? If we're trying to lose weight, or maybe we've hit a wall, what are some of the things that we can do to kind of push the needle in the right direction? Nobody of course gains thirty pounds when eating one cookie. The calories or sugar of one cookie and the grains. What it does is it retriggers extravagant uncontrollable appetite. So one exposure to grains, I've seen this happen many, many times, and you can't stop eating, and you gain twenty or thirty pounds over the course of a month. So getting rid of that effect is very important. So even an occasional grain indulgence is sufficient to amplify appetite, so make sure you stick with the basics. 100% elimination of all wheat and grans. We cap our carb intake. We go no higher than fifteen grams net carbohydrates per meal; net carbohydrates meaning total carbohydrates minus fiber, and that also accelerates weight loss. Now what if you did this and you still encounter weight loss plateau or you don't lose weight? There's a whole list of things to consider, like thyroid dysfunction, Shawn, is so common, and it's so underdiagnosed. Whether we like it or not, we live in an era where industrial compounds love the thyroid gland. It could be the perchlorates, toxic chemicals could be perfluorooctanoic acid from Teflon. It could be the triclosan in hand sanitizer and antibacterial soap. These all affect your thyroid, as do grains, by the way. About half of Hashimoto's thyroiditis initiated by the gliadin protein of wheat. And so stick to a net carb limitation, look for thyroid dysfunctions. So, so darn common. You're in St. Louis, so just like where I am in Wisconsin, iodine deficiency is becoming rampant. About 20% of the people now have iodine deficiency. Some even have goiters or enlarged thyroid glands from lack of iodine. If you have a goiter and/or iodine deficiency, you will not lose weight. We're more prone at least in the Midwest because all the iodine on earth is in the ocean, and only some of it seeps into the soil and we're too far inland for ocean iodine to seep into the soil. So making sure your iodine stasis is corrected. Making sure your thyroid is good. Engaging in a period of ketosis. It's a very, very effective way. I don't believe that people should be ketonic all the time, that's another discussion for another time, but I think occasional ketosis is easy to achieve and does amplify weight loss and/or break a weight loss plateau. Intermittent fasting related to ketosis is a great technique and it becomes very easy, Shawn, when you're grain-free because you don't have that gliadin derived opioid effect that drives appetite. And most of us can coast through a period of fasting, you know 18 hours, 24 hours, 36 hours, almost without blinking an eye. It's easy. But one of the helpful pieces in breaking through a weight loss plateau that you talk about in the book is increasing your fats and oils. And you know, there's a big movie out, it's a phenomenon in a way, What the Health, and in the movie a physician specifically- and I just couldn't take it after that. A physician sat there on camera and said that diabetes is not caused by sugar intake, it's caused by fat. Right? So please, it's controversial already, what do you have to say about that? Dr. William Davis: What he's referring to is that people who have a higher fat intake have higher levels of something called lipopolysaccharide, LPS. All that LPS is, is a byproduct of what are called gram negative organisms in your colon. And that's true. If you consume a lot of fats, the level of LPS goes up in your bloodstream, and it's inflammatory, and inflammation of course is one of the factors that drives diabetes. What he's neglecting, and this is not just this doctor, it's true of many conversations in health, is that he's neglecting bowel flora. He's neglecting the fact that modern people, virtually every one of us have some measure of disrupted bowel flora, dysbiosis, or even what's called small intestinal bacterial overgrowth where the organisms that are supposed to be only in your colon have ascended all the way up through twenty-some feet of intestine up to the stomach, which is very common. We're seeing a ton of this. So if I give somebody who has disrupted bowel flora a high fat diet, they're at a level of LPS that can go up, and you can- some people have some problems with that. So part of the equation in recovering health is to cultivate healthy bowel flora, and that's one of the things we do. We do that by taking a high potency multi-species probiotic just for a few weeks, and also taking prebiotic fibers that nourish healthy microorganisms, and LPS does not go up. You encourage species like bifenthrin bacteria for instance, and LPS does not go up. And you know, the proof is in the pudding. Do the take on these easy measures that are wonderful, easy, and are essentially free. And you know, I was a type two diabetic 25 years ago. When I became vegetarian and took out all the fats, and this was because I heard Dean Ornish talk. I took out all the fats, all the meats, added oils. I ate only whole grains, and only whole grains, not white flour. Whole grains, fruits, and vegetables, and I jogged five to eight miles a day, and I became a type two diabetic. I'm no longer a type two diabetic, I have perfect blood sugars, on no drugs, but just by eating no grains or sugars, correcting vitamin D deficiency, taking magnesium, fish oil, iodine, getting my thyroid in order, and cultivating bowel flora. So a lot of those arguments are coming from the people who have not incorporated some of the newer science like the microbiome. Shawn Stevenson: I love this, and you know I wanted to add this in here. So many people have asked me about the movie over the last couple of months or so, and it's a really well-done film. You know the production value is amazing, and the intention is great, but I don't particularly- and this is kind of counter culture to myself personally, the fear tactics and utilizing such extreme tendencies or extreme explanations on why certain things happen. You know, if you just do this then this is going to happen, when there's so much gray area. If we can all get together and have a great conversation and be able to pull the things that function well for human health, and that work for all of us, you know it's going to be different for everybody. You know, there's universal principles, but there are also things that are specific to us. So we don't want to be so black and white in saying this thing is bad for you, this thing is good for you, when there's a lot of gray area there to talk about. And there's even fifty shades of gray maybe, I don't know. So here's the deal, here's the deal. At the end of the day, it's just about getting information, getting educated, and the last little part that I want you to talk about before we wrap up here is he also said that sugar doesn't cause diabetes. Sugar is not the big player in this. So can you clear this up? Like how does sugar influence diabetes? Or is he right? It's so flagrantly- all you have to do is try it yourself. Get a finger stick glucose meter, and you know if you get one now it's called a Dario device that plugs into your smartphone and you carry it around with your phone. And check your blood sugars after you eat, let's say meat, a fatty cut of meat versus say a piece of apple pie, or maybe a twenty ounce Coca Cola. Check your blood sugar, and do that repeatedly. Watch the fasting blood sugar start to go up, watch your after consumption blood sugar start to climb. It will not do that with consuming such things as a pork chop. Prove it to yourself, and you'll see that there are dramatic differences. For instance, oatmeal. Eat a bowl of organic oatmeal and watch your blood sugars go sky high. A diabetic can have a blood sugar go from 100 to 350 to 500 after a bowl of unsweetened organic stone ground oatmeal. So prove it to yourself what causes diabetic blood sugar. It's very easy to do. Shawn Stevenson: Wow. There you have it, there you have it. Dr. Davis, if you could before I let you go, what is the big mission with 'Undoctored'? What are some action steps that we can all take today to be able to really embody and take advantage of this cutting edge information that you're sharing for everybody? Dr. William Davis: You know Shawn, I think it helps for people to know that they can be healthy again, but it won't come from the doctor, it comes from these kinds- like what you and I are doing now. These kinds of collective- these kinds of conversations and sharing of collective wisdom. So know that there are tools out there that can help restore magnificent health, but it comes from your own individual efforts, not the doctor. Shawn Stevenson: There you have it, guys. Can you let everybody know where they can pick up the book, and where they can connect with you online? Dr. William Davis: Sure, the book is available anywhere; Amazon, Barnes & Noble, all the major bookstores. I cultivate a lot of these conversations in the 'Undoctored' social media like 'Wheat Belly.' I've got 'Wheat Belly' on my mind. 'Undoctored' Facebook page, as well as the 'Wheat Belly' Facebook page. The 'Wheat Belly' social media still contains a lot of these conversations, but 'Undoctored' we take it further like talking about how to use blood sugar to get rid of diabetes. There's an 'Undoctored' blog, there's an 'Undoctored' inner circle that's a paid membership site for people who really want to dive in deep and interact face-to-face. We have a virtual meetup where we actually meet online in a group once a week or more. So if you just Google 'Undoctored' or even 'Wheat Belly,' you can come across all the wonderful stuff online about this program. Shawn Stevenson: Dr. Davis, thank you for having the courage and the audacity to write this book and to do the work that you're doing. I know that sometimes when you're up there, and you're leading a mission like this, you can get a lot of arrows shot at you, and thank goodness that you- I guess maybe it's like I'm thinking about Hunger Games right now. And you've got the armor on to be able to defend this stuff, and you're creating so many health warriors who are on this path with you, and becoming undoctored, and to really regain their own health and wellbeing, and I just really am grateful for you, so thank you. Dr. William Davis: Oh thanks for saying so, Shawn. You keep up your terrific work, too. Shawn Stevenson: Absolutely. Thank you. Everybody, thank you so much for tuning into the show today. I hope you got a lot of value out of this. Wow, if you didn't get some of the big ah-ha moments from this, and how our healthcare system is not really a healthcare system, it's more of a disease care system. And there's no money to be made if you're healthy. There's no money to be made if you're fit. And so it's just a system that's set up on the farming of sick people, and we have the opportunity to decide whether or not we're going to be a part of it. And again, it's not that medical schools, and doctors, and this whole paradigm of careers is a bad thing, it's just there's a lot of bad science. And things are changing, that's good news, but the best news is that right now you can be proactive in working with folks who again are on the same mission as you. So working with a functional physician, or a physician who's a more naturopathic physician, or even there's a lot of great people doing chiropractic work, and there are also many MDs who are also in the forefront like Dr. Davis is with nutrition, with lifestyle practices that can actually help you to be healthy because his goal is to help you to be drug-free. His goal is to help you to have the weight that you truly want to have. His goal is to make sure that you're disease-free. There's not a lot of money in that, but there's a lot of great people who are out telling your story, and singing your praises so that all of that is coming back to you. And I know he's seen this many times over and over again that all this good is definitely coming back to him. And make sure to pick up 'Undoctored' and add this to your library. Check out some of the statistics in there, it's going to blow your mind when you start to see the lobbyists, and you start to see some of the money that's dropped on drugs, and on surgeries, and on all this different stuff. It becomes very difficult, even if you get into the field with the objective to help people, how difficult the system can be in kind of choking that mission out of you just to be able to pay your own bills as a physician. Alright so we've got to change the game and it starts with us, and it starts with getting connected to information like Dr. William Davis shared today and also in his new book, 'Undoctored,' so make sure to check it out. I appreciate you so much. If you got a lot of value out of this episode, make sure to share it out on social media, on Twitter, Facebook, Instagram, all that good stuff, and tag me. Tag me on your InstaStories, I love to see that. And we've got some amazing, amazing episodes coming up and some great guests, so make sure to stay tuned. Good stuff is on the way. Let me say that I normally love your podcast. I’ve learned so many tips to improve my life and my health. I did, however have to turn this episode off because it made me really upset. When your guest started talking about the healthy subsidizing the sick as a flaw of health care I was a little astounded. In our country we care about providing for our most vulnerable. When the young and healthy opt out of the insurance system they not only put themselves at risk if a catastrophe occurs, but we leave a system that is not equipped to care for our impoverished and elderly. That doesn’t really jive with your typical message of compassion and meeting people where they are at. I was a little disappointed. Still love you, just thought I’d leave a little food for thought. Thank you Diane! Yes, you can find the transcription right above this comment section, right after the ‘Items Mention’ section. Do you personally live a grain free life ? I ask because from what I gather, wheat belly is a lifestyle not a temporary diet. I am a little overwhelmed at the idea of never eating anything that contains grain ever again. As that elminates a lot of food options. How did you make that paradigm shift in your life? Or do you still eat grain but very minimally? Just listened this podcast 4 times today (3 on soundcloud and 1 on youtube). Awesome work shawn!! In two months you became a reference for me to ffollow about health and fitness! Thank you again! Love from France! I just want to say how much I enjoy your perspective on overall health and nutrition and how you present the information to the public. This episode really resonates with me as one of the early children diagnosed with Celiac Disease in the US, I have been living a very healthy gluten free life for over 30 years now. This was the driving force for me to go back to school and get my Masters of Nutrition degree so that I could help others live healthier lives. That being said, I love that you mentioned who backs the American Nutrition and Dietetics Association. I was shocked to learn who backs most of these large associations that are supposed to be looking out for our well being but really aren’t. This was what drove me to become a Holistic Health Advisor instead of getting my RD. I refuse to have my practice dictated by big companies only looking out for their pockets. Kudos to you, Shawn and keep up the awesome work!